Happy anniversary to a great blog. Thanks for some wonderful posts. Congratulations. It's been a great year of reading. I've enjoyed your site tremendously and look forward to more great reading. Well done, keep up the great work !!! Happy Birthday, Eve! Seems both our blogs are Virgos (my bloggy b-day, too this month).You know I love your blog to pieces and I must say she is very well developed for her tender year(s). Only one year? Honestly, it seems like you were born to this form of expression. Your blog is elevating. The feeling is mutual, Dave, FlickChick and Caftan Woman! You're the tops. Thanks, Michael - and congratulations on reaching your 4,000 movies goal! Happy anniversary! It's been a great year of enjoyable posts. Glad to see you made it through a year, Eve. Haven't been keeping up with blogging and readung my fave blogs, but I hope to visit your site more often. It is always a treat to read your well-thought out and well-written blogs. Congratulations Lady Eve! I would of never guessed that you were so new to blogging...you do it like a pro ( which indeed, you have become ). Here's to a another year of wonderful film and star reviews! Happy anniversary, Eve, to you and your wonderful blog! Thanks for the compliment, but I only provided encouragement. 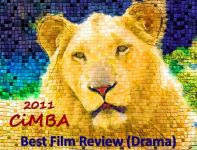 Your impeccable research and writing skills is what made "The Reel Life "can't miss" reading. Thanks so much to Brandie and Buccaneer Birdie...Kim, good to hear from you again (happy to see you've posted for the first time in a long time on your blog). Rick, you have given me more than encouragement. You invited me to join the Cafe as it was being formed, you reviewed and made editing suggestions on my first Edna May Wonacott interview, you helped me with technical problems as I launched this blog - and that's just a couple of top-of-mind examples. Thank you for everything! 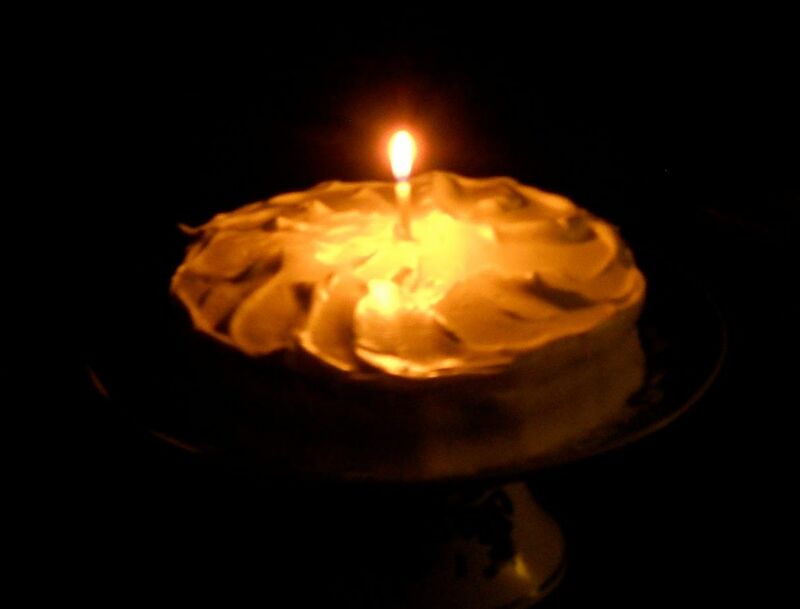 Happy Blog Birthday Eve! Seems we started around the same time, I have my own coming up in a few days. Eve, another congratulations from a faithful reader! It's hard to believe it's only been a year that you have had your own blog! Rick was the online muse for a lot of us, wasn't he? He even helped me learn how to set my blog up! Becky - I think we began at about the same time (2009) and place (TCM's CFU) with the same gang of classic film fanatics. As I recall, you (as well as Rick) helped me figure out a thing or two when I was trying to get this blog up & running. It's been a lot of fun and you've been a great friend. Love your blog. Eve, Happy Anniversary! To one of the best classic movie blogs ever written. I'm another one of your faithful readers! I started Noir and Chick Flicks, 3 years ago Oct.2nd. Also, with Ricks help. Hi Dawn - I think we first met over at CFU, too, didn't we? Rick has been a true friend and mentor to more than a few fledgling classic movie bloggers. Thanks, and I'm one of your faithful readers, too. Why, Eve, it's the first anniversary of THE LADY EVE'S REEL LIFE? I'm happily surprised and amazed -- you write with such verve and assurance, I figured you for a longtime pro! Your blog is always a thoroughly entertaining and fascinating read. Congratulations on your wonderful blog's first anniversary, and here's to many more to come! Happy anniversary! Count me as another reader who assumed you had been blogging for a lot longer. Well, thanks Dorian and Mythical Monkey...so good to hear from both of you. I'm hoping to keep this blog going (and getting better) far into the future. And I'm open to suggestions, by the way. Eve, the only reason I don't post on your ever-fab THE LADY EVE'S REEL LIFE is that in recent months, I've been wildly busy with both my writing and my wonderful daughter, who's conquered her ADHD and Asperger's well enough that she's in a mainstream high school with mild help from her Inclusion Aide -- we're so proud of her! I shall be sure to organize my time better so I can join more frequently in your always-scintillating comments. Keep up your great work, Eve; you're always well worth reading! Congratulations on your first blog anniversary. I am looking forward to many more as I know they will just as entertaining, informative (so well researched!) and well written as this first year has been. Eve, we did first met over at CFU.